In this file photo from January, Scott Pruitt, President-elect Donald Trump’s nominee to run the Environmental Protection Agency, testifies at his confirmation hearing before the Senate Environment and Public Works Committee on Capitol Hill in Washington, Wednesday, Jan. 18, 2017. The nomination of Pruitt, currently Oklahoma’s attorney general, to lead the EPA is being fiercely opposed by environmental groups that point to fundraising ties with corporations he has sued to protect. The U.S. Environmental Protection Agency will consider regulating two toxic chemicals that are subject to tough health limits by an increasing number of states but which have not so far been regulated by the federal government, EPA Administrator Scott Pruitt said on Tuesday. At a national summit on the PFAS family of chemicals, also known as PFCs, Pruitt said his agency will look at whether there’s a need to set “maximum contaminant limits” for PFOA and PFOS, which have been linked with some cancers as well as low birth weights, high cholesterol, and other illnesses. He said the chemicals, whose uses included nonstick cookware and firefighting foams, are “affecting communities in an adverse way” — and that explained the presence at the meeting of representatives from 35 states, three tribes, and numerous associations and nonprofits. “It’s clear that this issue is a national priority,” he said. Pruitt also said EPA is beginning a process of designating the two chemicals as “hazardous substances” under the federal Superfund law. 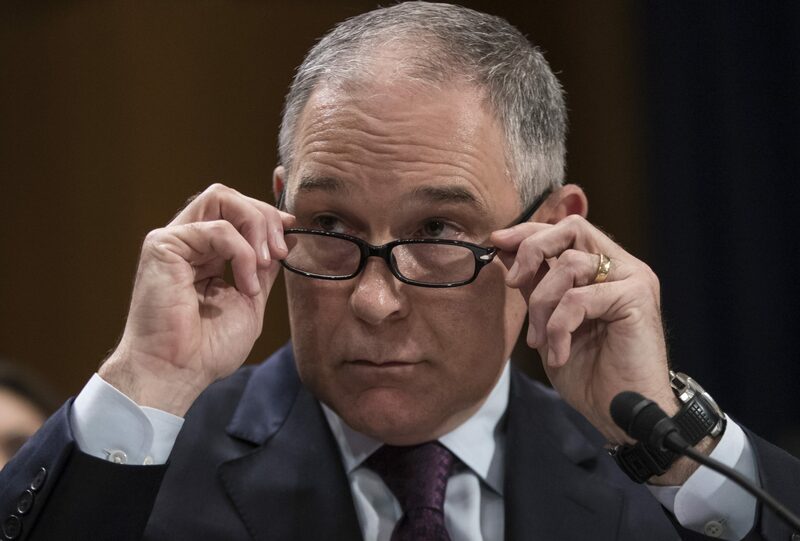 Pruitt, who is under several ethics investigations unrelated to the PFAS issue, said he was setting up a national task force on the issue, and invited input from state and local authorities. His statement was cautiously welcomed by advocacy groups that have long criticized the federal government for failing to put legal limits on the PFAS family of chemicals in drinking water. But they warned that the agency was a long way from actually setting a limit that would protect public health. “It is a big deal for the EPA to announce plans to pursue setting an MCL for PFOA and PFOS, but ultimately the importance of this announcement will come down to the details,” said Dr. David Andrews, senior scientist at Environmental Working Group, a leading advocate for tighter limits on PFAS. Andrews said the EPA has set no new drinking water standards in more than 20 years, and seems unlikely to do so under Pruitt, who has rolled back many environmental regulations including those on emissions from power plants and automobiles. As a consequence, states such as New Jersey will likely continue to set protective health standards on the chemicals, he said. To coincide with the EPA summit, EWG on Tuesday released a new study showing that some 1,500 U.S. drinking water systems supplying 110 million people could have the chemicals in them at levels that exceed what EWG says is safe. In some cases, contamination is higher than the lower standard advocated by the EPA. 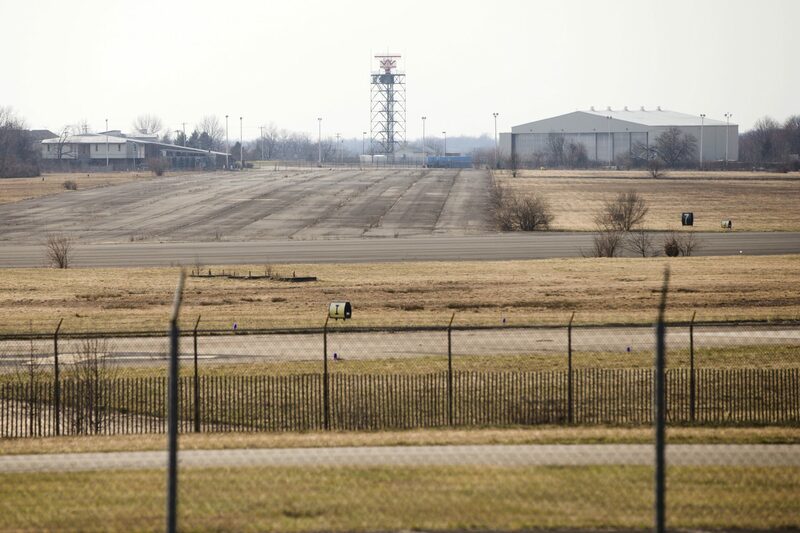 In Pennsylvania, some of the highest levels of PFAS contamination have been found in the Warrington-Warminster area of Bucks County, where the chemicals were used in firefighting foam at nearby military bases. Congressman Brian Fitzpatrick, a Pennsylvania Republican whose district includes the bases, was one of a bipartisan group of 13 Representatives who wrote to Pruitt last week asking for the release of a federal study on PFAS that was reportedly suppressed by the EPA and the White House. The study, from the Agency for Toxic Substances and Disease Registry, reportedly will recommend much lower health limits on four PFAS chemicals than the limits advocated by EPA. ATSDR’s head, Patrick Breysse, was due to participate in a panel discussion at the summit on Tuesday afternoon. Claims that EPA is seeking to control reporting of the issue grew on Tuesday when reporters from CNN, the Associated Press and the environmental news site E&E News were barred from entering the summit, and an AP reporter was forcibly removed by security guards, NBC News and other outlets reported. After the incident, the EPA decided to open the rest of the summit to the news media. Beforehand, EPA said reporters would not be allowed to attend, but it provided a live stream to about the first hour of the event. Myron Arnowitt, Pennsylvania director for Clean Water Action, a nonprofit, urged the federal government to release the ATSDR report immediately so that state and local authorities will know whether public health is at risk from the chemicals, without having to wait years for any eventual regulation by EPA. “If EPA can provide the public and state agencies with the current science on what we know about the health effects of these chemicals, it’s critical to state and local governments to being able to take proper action to protect people,” Arnowitt said. By using its expertise on the detection and measurement of PFCs, the EPA could also immediately help state and local authorities determine whether their citizens are being exposed to hazardous levels of the chemicals, Arnowitt said. Pennsylvania does not regulate PFAS chemicals but follows EPA health guidelines, which recommend a health limit of 70 parts per trillion of PFOA and PFOS combined. New Jersey, by contrast, is implementing standards for two of the chemicals that are much tighter than the EPA’s guidelines, and has become a national leader on the issue. The Pennsylvania Department of Environmental Protection welcomed the EPA’s evaluation of the two chemicals, and said it will continue to comply with the EPA’s limit while during the agency’s evaluation process. Delaware Riverkeeper Network, a Pennsylvania-based environmental group, welcomed Pruitt’s recognition of the PFAS problem but said the threat to public health is too acute to wait for possible federal regulation. She argued that the chances of EPA eventually regulating the chemicals are probably influenced by the Department of Defense, which is already faced with big bills for cleaning up the chemicals on military bases, and could face an even bigger financial burden if the chemicals were subject to federal legal limits. “The influence that DOD may wield on EPA may impose too great a conflict of interest for us to expect really objective safe drinking water standards for PFCs to be set by the federal government,” Carluccio said. But the Environmental Council of the States, which promotes cooperation between state and federal governments on environmental policy, said in a letter to EPA on Monday that the federal government must take a “leadership role” in protecting public health from the ill effects of PFAS chemicals, and supporting state action.